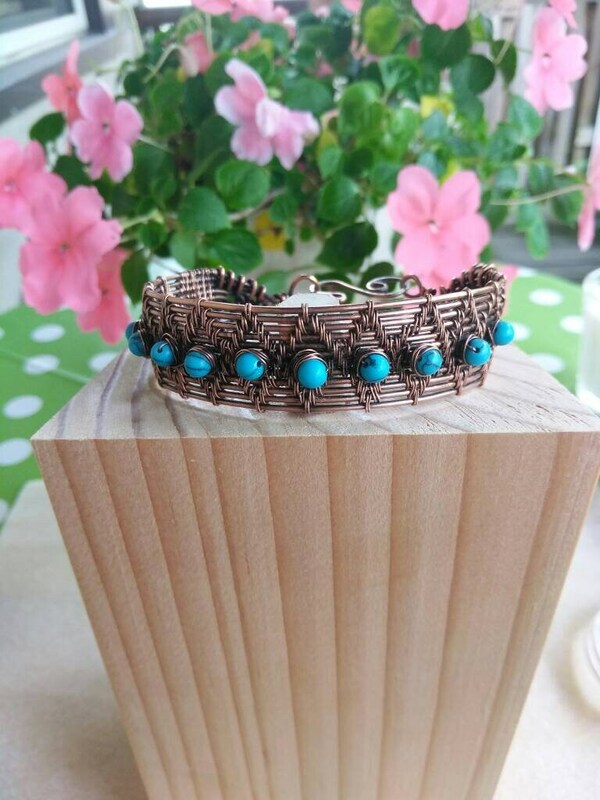 This copper wire cuff bracelet is 7" (18cm) long and 3/4" (.5cm) wide. 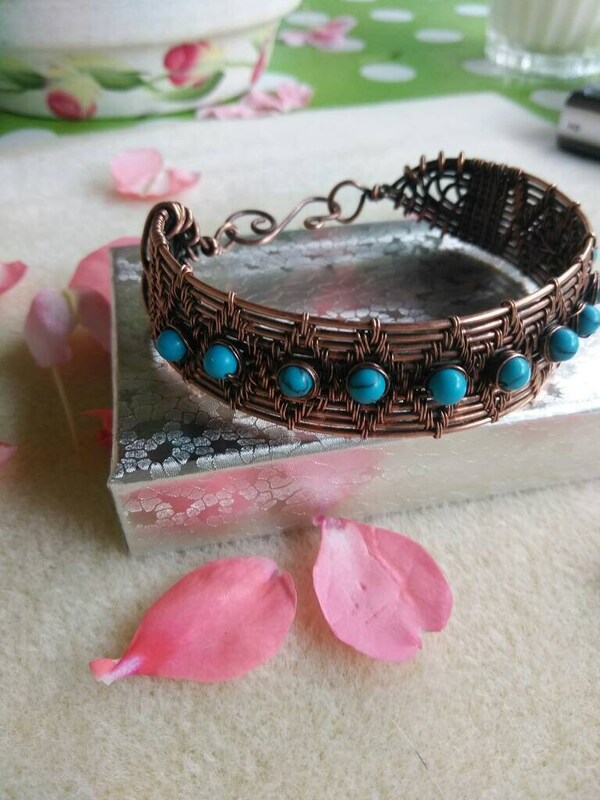 Copper wire is hand woven, oxidized and hand polished. 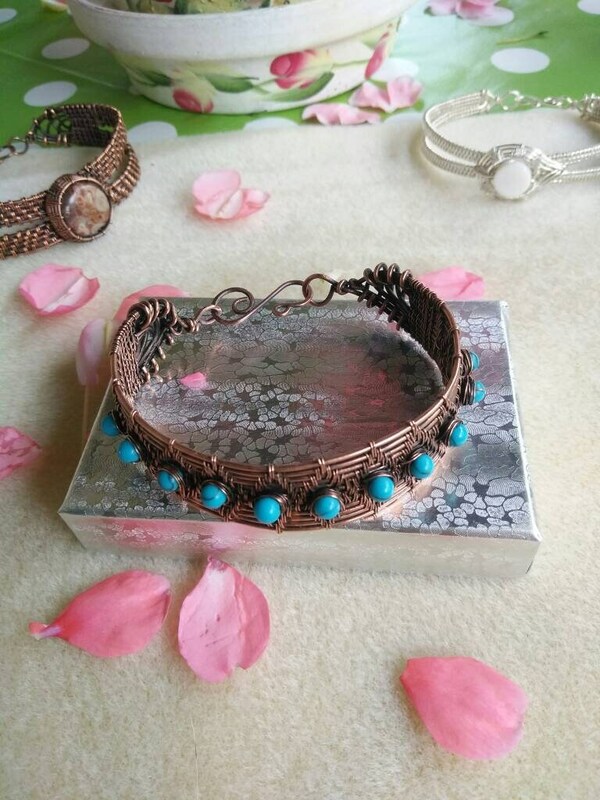 Also included are 4mm (1/8") howlite stones.